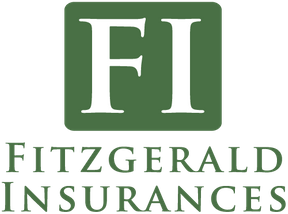 At Fitzgerald Insurances we can arrange all types of Private Motor Insurance – from beginners starting off to family packages. We also have access to the most competitive rates on the Irish market for commercial motors. We can get quotes for most types of special type vehicles as well (diggers, excavators, dumpers etc.) Please contact us if you have any queries. Comprehensive Cover – protects you from claims made for accidental damage to your own car as well as claims by Third Parties, including passengers for personal injuries or damage to property. You are also protected in the event of damage to or loss of your car by fire, theft or attempted theft. Third Party Fire and Theft Cover – protects you from claims made by Third Parties, including passengers for personal injuries or damage to their property. You are also protected in the event of damage to or loss of your car by fire, theft or attempted theft. Third Party Only – protects you from claims made by Third Parties, including passengers for personal injuries or damage to their property. Contact us for a motor insurance quote. A: Yes – However there is a restricted market for this risk type. Q: An international driving licence? A: Clients must currently hold a current Provisional Irish Licence or a Full Irish or EC Driving Licence only. Q: No driving experience or Named Driving Experience? A: Yes, provided you have no more than 4 Penalty Points on your current driving licence. A: No, you must not have been convicted of any offences of any nature and have no convictions pending.